We have a brand new poster for the highly anticipated Veere Di Wedding. Directed by Shashanka Ghosh, the film stars Sonam Kapoor, Kareena Kapoor Khan, Swara Bhaskar and Shikha Talsania. The newly released poster is a teaser to get fans ready to see the trailer which we now know releases on April 25th! One of the most interesting things is that Ekta made sure that everyone knows this is Not A Chick Flick. 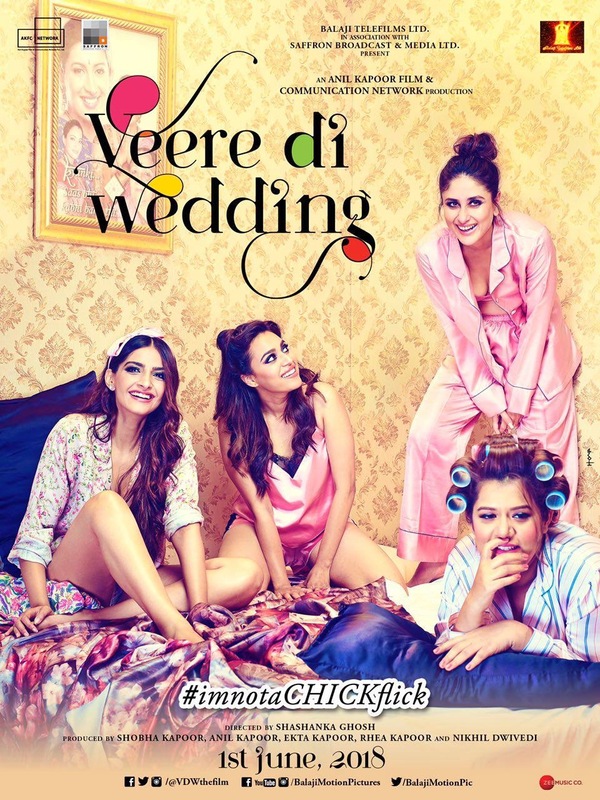 We certainly are intrigued and can’t wait to see what Veere Di Wedding has in store for us! Check out the new poster! Stay tuned for the trailer! Veere Di Wedding releases on June 1st. 16 queries in 0.472 seconds.